My father’s family is a fairly typical Appalachian family: they worked hard, had little money, went to church every Sunday, said their prayers at night and looked the other way when they saw things no one else did. My father, staunch Methodist that he is, emails me regularly about everything under the Sun. This morning I received the email below. I thought I would share it here, because it’s so rare that I hear my older Christian relatives talk about and actually address the things my grandmother told me to never talk about. And he wonders where I get it from? Sometimes they are very much in the back ground. You almost have to be expecting to hear them. It is as if they are having a conversation between themselves. Then they seem to come forward if you want to talk to them. Other times they just say things in the clear that they want you to hear. You may look around expecting to see people but real people are not there. They can warn. They share joy. Always pay attention to warnings. E would say they warned her many a time. L knew F S’s time was coming soon. They told her indirectly through him. He told her he sat down while walking from out on the ridge. He heard voices talking of death but he didn’t know whose. When I was laying in bed dying when my appendix burst, the Sheppard was there at my head all night long. I knew he was there guarding me or just being with me. When I heard the dead stick rattle up and down the rafters of the front porch, he let me know the devil was waiting and I still don’t know why it was the devil and what at that point in my life I had done wrong. When they had to put the hose down my nose, I had to go to x-ray every few hours. When they were loading me on the elevator for the last time, I knew all I had to do was to let go of the parallel bars I was holding onto. All was black around those bars. I knew not to let go because I would be in the wrong place as a result. I don’t know how I knew unless it was the Sheppard protecting me. The Sheppard never spoke. He had no face I could see. Perhaps it was the Valley of Death of which much is spoken. Since then the voice calls me in the middle of the night. It isn’t the one from the garden. At night it is sharp and piercing by my name. The garden doesn’t call me by name, it is the friend. Perhaps you will not be the carrier of this curse. It is something to bear. It is definitely another dimension of which Uncle R seems to believe. Your Aunt D doesn’t hear the voices. I am not sure why I do unless L chose me. She use to teach me about them. She always said “You can’t run. You can’t hide!” perhaps she was telling me I would never be free of hearing them. I always thought she was speaking of death alone. Maybe both. You may see patches of light and dark pass you by out of the corner of your eye. I believe there are good and evil forces among them. They are always about their business. Know this I have had some side effects of the knee surgery. 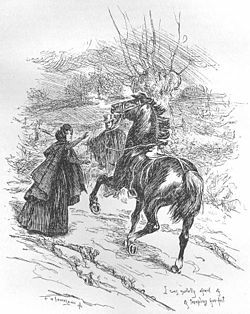 I intend to ride this horse to the finish, as I would rather die than quit walking. The peace was there today as I walked at Dawes with the dog. That is twice now. I have not known it for so long I had forgotten it. It is within you, if it comes to you. It is this serenity like no other. Nothing in this world can hurt you ever again when it is with you. There are forces unseen which do exist. I just happen to be a conduit for some of them. E plays for me on a regular basis now. I would guess by your rule of threes you should always be on the plus side of that count. It was the last lesson your Grandfather taught me. Die proud and never on your knees, he said. Be proud and never give the bastards an inch. Take it all standing full on. Fear not you will be standing by the shadows of the past. The road that goes down over the ridge where my family has lived for generations. The first time I ever experienced what my dad is talking about was the night before my grandmother died. She had had Alzheimer’s for eighteen years. I was 21. She was down to about 80 pounds and had mostly quit eating, so we knew that her passing would be soon. 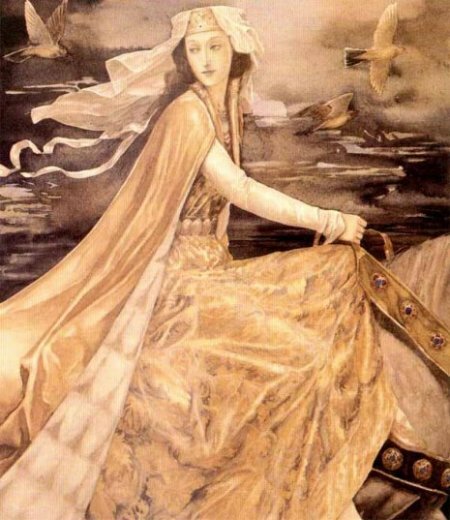 I went to bed that night as usual and unlike other nights, I dreamed one long dream all night. 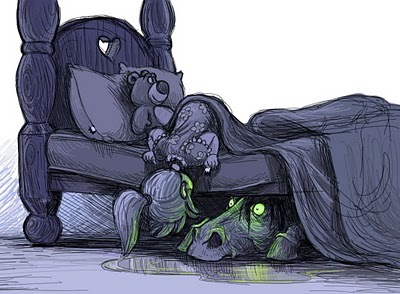 I woke in the dream sitting in the old, ugly plaid chair in my grandmother’s front room. And across from me, on the love seat, was my grandfather. I had never met my grandfather, he died when my father was a boy. We both knew who the other was, but couldn’t seem to actually speak to each other. We sat there, all night, together, without saying a word, keeping vigil together. Right before I woke up, he stood up and suddenly had a bouquet of flowers in his hand. Not long after I woke, my dad called me to tell me that my grandmother had passed. I like the image of my grandmother passing and finding him waiting there for her with a bouquet of flowers. He was the only one she ever loved and they were separated for forty some years. It took me a long time to reconcile my choices with family expectations and traditions. I know many of my living relatives are disapproving. But someone told me once that death makes us all equal and that they don’t care about things like religion or sexual orientation on the other side. That they claim us no matter what. It took me a long time to realize that my grandfather’s visit was as much an acceptance of me as a vigil for my grandmother. I think the reason I write about Wicca and Paganism is exactly because my grandmother told me not to talk about it. It took me so long to figure things out. How different would things have been if I had known things at a younger age? We need to share our stories and listen for the voices. They are all around us, all the time and when they speak, its necessary that we listen. I don’t see it as a curse, but as a blessing. I am a witch. I stand at the gateway between life and death and I am able to speak for those who have no mouths to do so and I can go places that most of the living cannot. I am proud to walk in the shadow of those who came before me. I come from a long line of hardworking farmers. It’s not a glamorous legacy, but it’s certainly a strong one. And I too will ride that horse until the bitter end. I have nothing to fear. I will not budge. My roots sink far into the past and will hold me in the midst of the worst storms. Try, try to move me all you like. It won’t work. I am not just anchored in this world, but in the next as well. 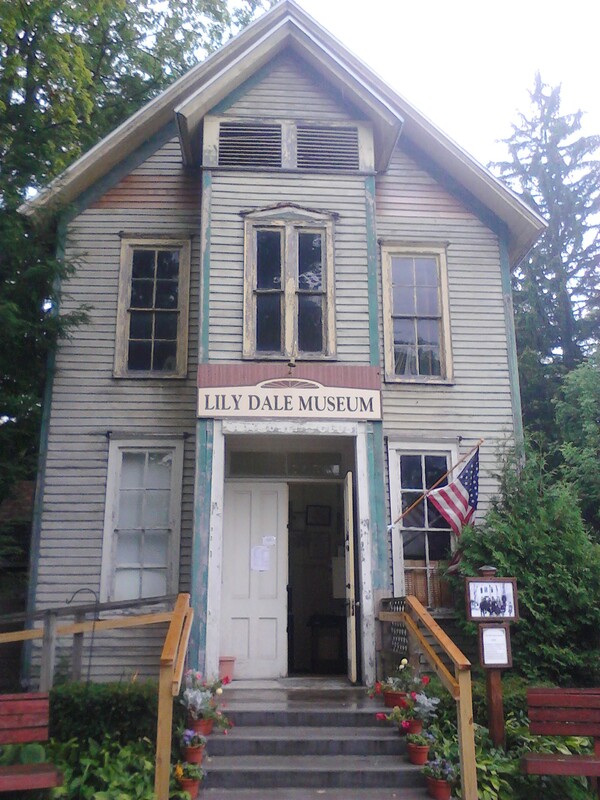 Last week I had the unexpected opportunity of visiting Lily Dale. I had vaguely heard of Lily Dale before, but hadn’t realized that it was going to be so close to the site of Sirius Rising in Upstate New York. 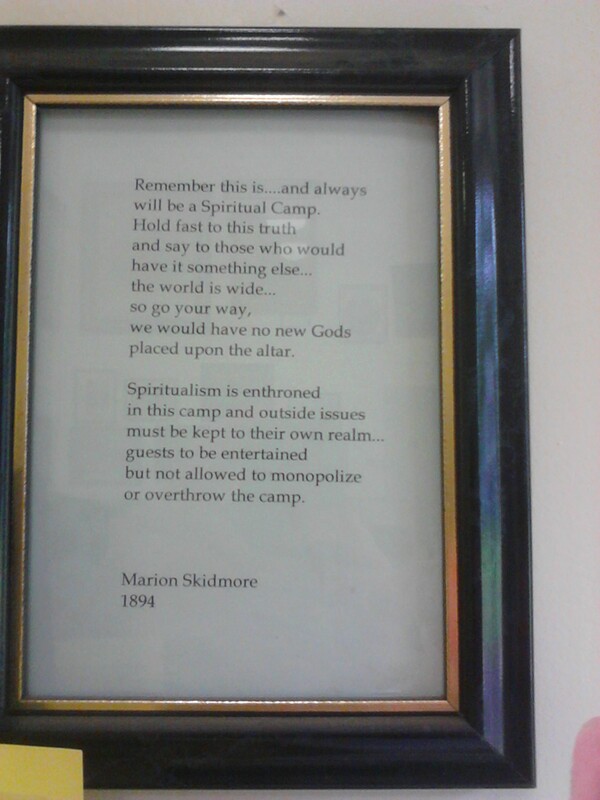 I was at Sirius Rising all week, and was very focused on being at the festival, but when it was pouring rain out one festival day, one of my friends suggested we take a field trip to see the great Spiritualist community. The Fox sisters were infamous mediums of nineteenth century America, and were a large part of the Spiritualist movement. In 1927, the Fox sisters’ house was moved to the site that is now Lily Dale. Spiritualism is a fascinating movement that holds a little known place in American history. According to Wikipedia, Spiritualism is “a belief system or religion, postulating the belief that spirits of the dead residing in the spirit world have both the ability and the inclination to communicate with the living. Anyone may receive spirit messages, but formal communication sessions (séances) are held by ‘mediums’, who can then provide information about the afterlife”. Many famous people were interested in Spiritualism in the mid and late nineteenth century. Mary Lincoln and her famous husband became very serious Spiritualists after the death of one of their sons. It was extremely fashionable to hold seances in your home and to invite mediums like the Fox sisters to come and speak in your communities. 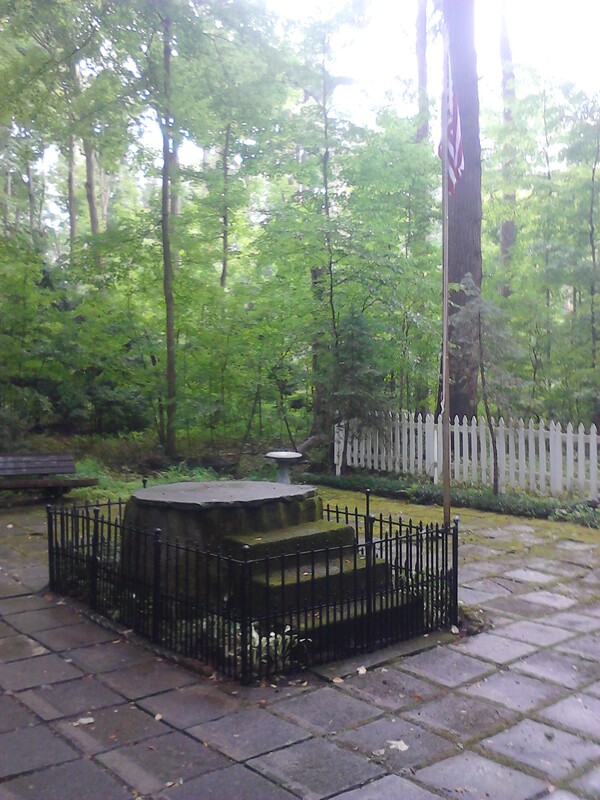 And whether you believe the Fox sisters actually were receiving messages from the other side or not, the movement that was built around them is still alive and well today in Upstate New York at the Lily Dale Assembly. 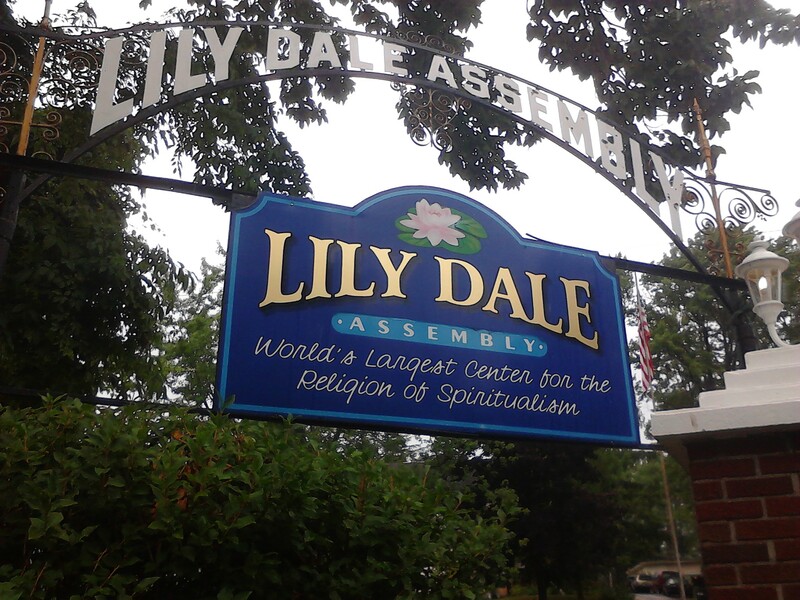 Lily Dale is a tiny little place that is open to visitors year round and to students who wish to come and learn more about being a medium or Spiritualism. The main Lily Dale website says “There are daily lectures on the wonders of mediumistic phenomena and the basic truths of God and Man, which Spiritualists adopt as their standard for living”. It costs $10 to get through the gate, but after the entrance fee, the community is open for your exploration. 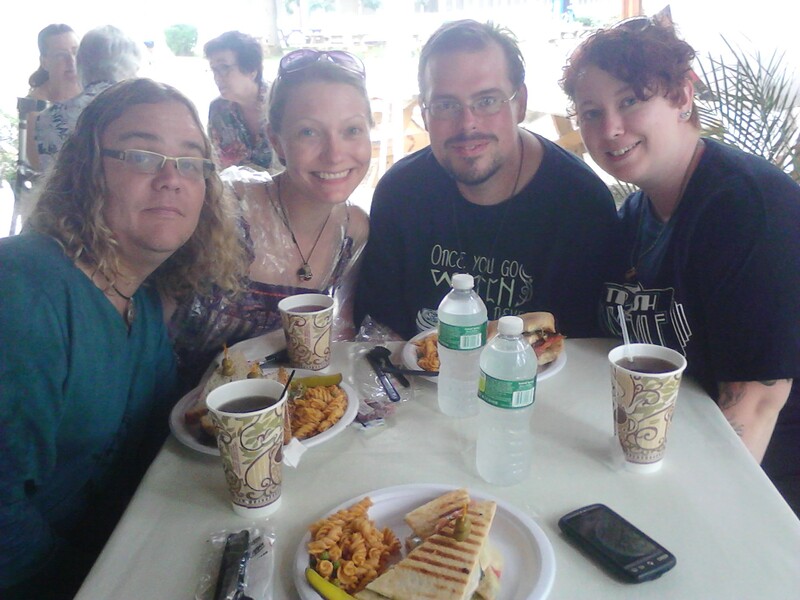 When we arrived, we headed up to the Inspiration Stump, where mediumship demonstrations are held everyday at 1 p.m., and people gather to hear from several of the mediums. There are three types of mediums who speak here: The mediums that are registered and vouched for by the Lily Dale Assembly; visiting mediums from other communities; and student mediums. Originally the mediums stood on the huge stump that still sits at the top of the meeting place. That way they could see the audience gathered to hear the words of the spirits from above, and were able to pick out those who the spirits wished them to give messages to. Today they do not stand on the stump, but use microphones; otherwise, the mediums still do the same thing that has been done for over 130 years. I was surprised by how many people were there. It was a truly fascinating experience. The mediums were introduced and immediately jumped right on into things. We were told at the beginning that this was considered to be a religious service for them and throughout the whole thing, the mediums were thanked for “walking with Spirit” after they were finished. 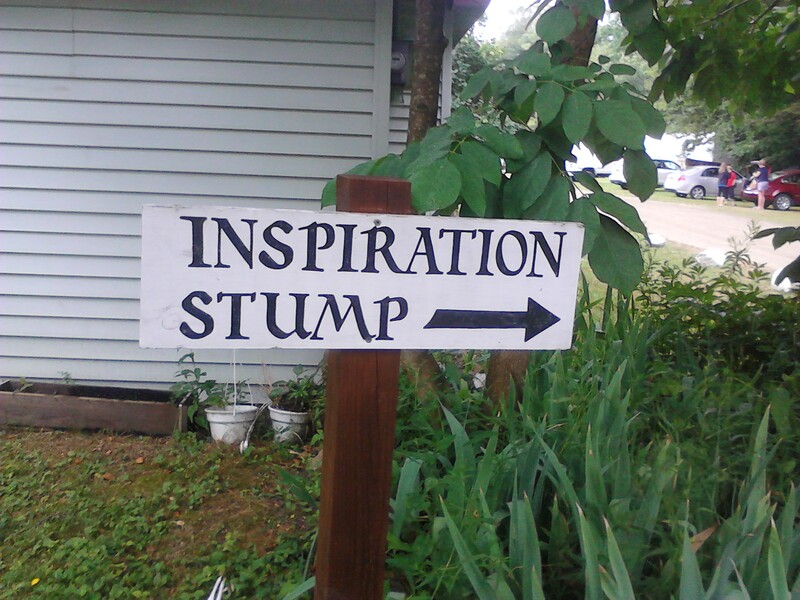 Inspiration Stump is a spiritual retreat found at the end of the calm and quiet trail of the Leolyn Woods. It is not unusual to become more aware of the spiritual energies while in this open and receptive state at the Stump. 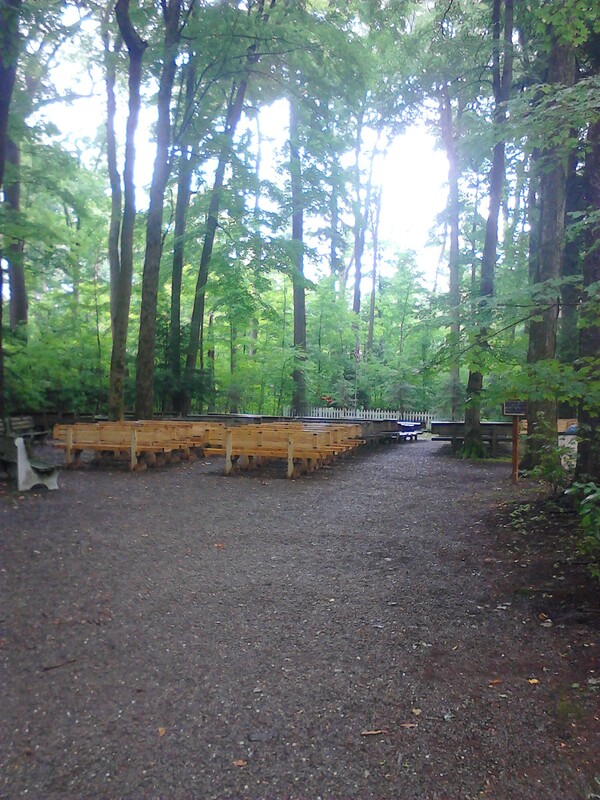 you are invited to participate in the services held twice a day in the grove at no charge. Demonstrations of mediumship are presented by the mediums giving short messages to those in the audience. 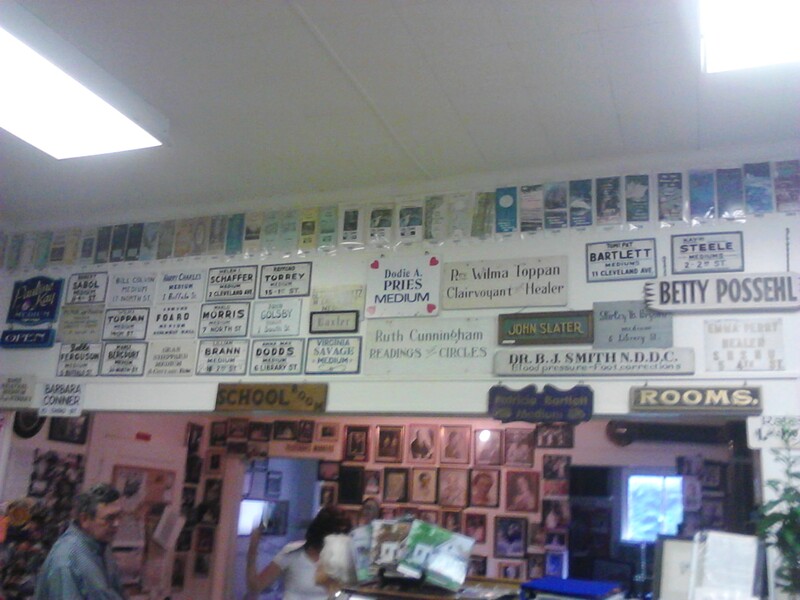 These services have been held since 1898. As well as possibly receiving a message of meaning at Inspiration Stump, you may well renew your own Spiritual energies. Spiritual awareness is available to all. Please show consideration for the mediums who are working and for those who are receiving messages by refraining from unnecessary noise or movement that disrupts the flow of energy. I don’t know that they convinced me of their abilities or not, but they certainly gave us a show. Some of them were really good, and I’m sure, probably actually in touch with the Spirit world. Some were pretty abysmal, but they all kept us entertained. It was an experience unlike any other that I’ve had. After we left Inspiration Stump, we explored the rest of the tiny community. There is a small museum in the old school house, a library, the assembly hall and all the houses of the mediums, where you can stop and actually have a personal reading or channeling. We didn’t do this, since it gets quite expensive. But the mediums set up shop and open their doors all summer for the visitors and pilgrims of Lily Dale. 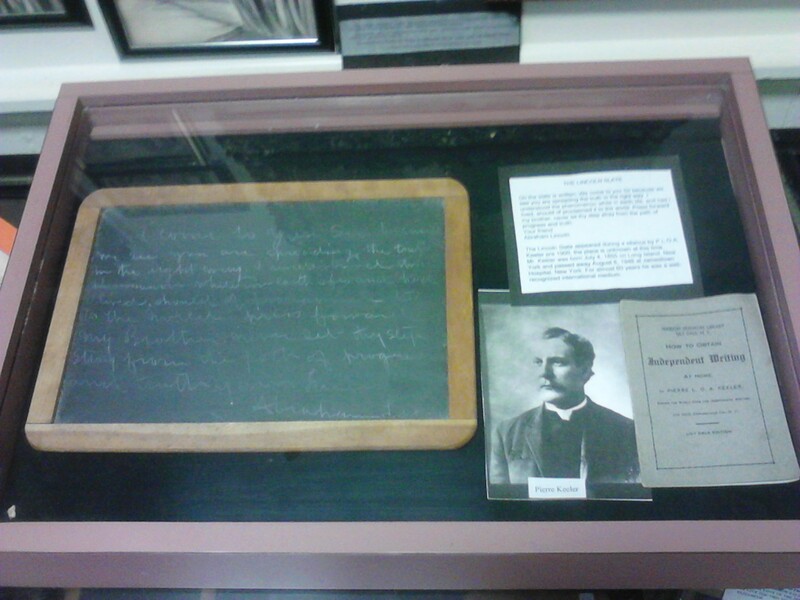 At the museum, they had memorabilia of the many things that had gone on in the Spiritualist movement and in Lily Dale. They had a wall covered with the signs from the houses of the original mediums, spirit slates that the spirits had supposedly written on and many other fascinating things. We had lunch in the little cafe sitting between two mediums, which was a pretty hilarious moment in and of itself. Jason Mankey, author and lecturer, was a particularly wonderful tour guide the whole day. 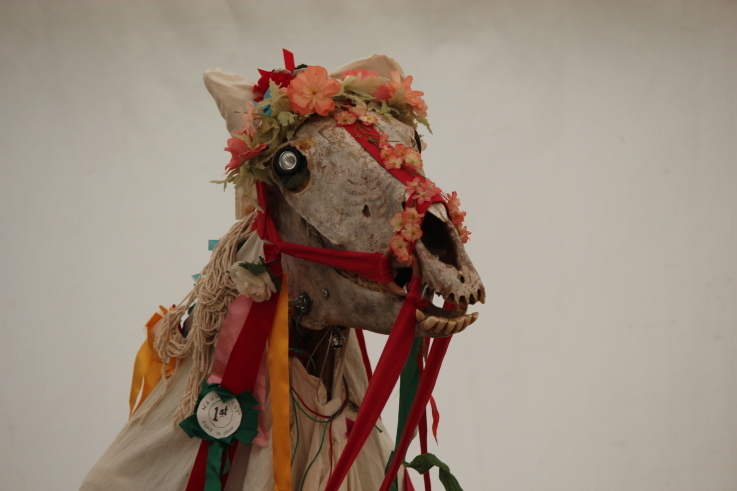 While we were there, I noticed that Pagan author Ray Buckland was supposed to speak the next day. 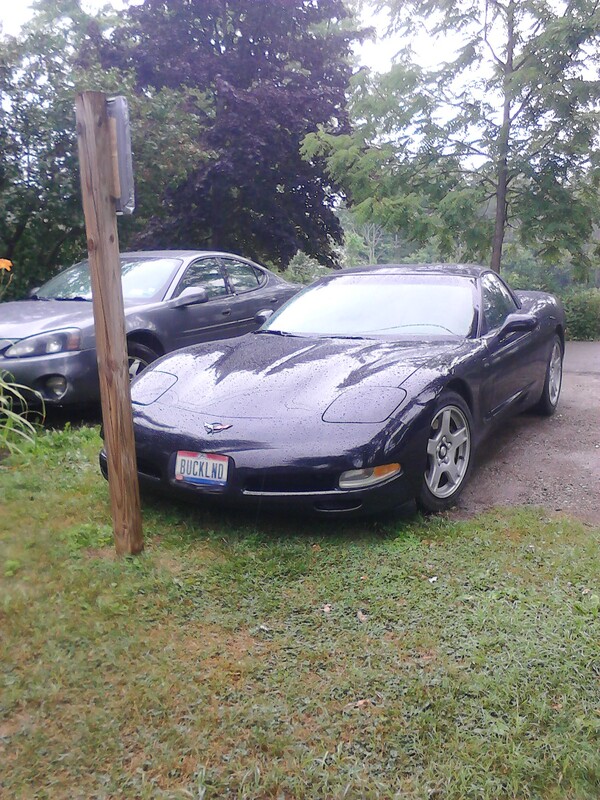 While we didn’t run into Buckland himself, we did see his infamous corvette. I was amused. After returning, I was sitting in Murdock’s, a tiny restaurant in Sherman New York (which is the small town that Brushwood resides in) writing this. The owner of the restaurant passed by my table and saw some of my pictures and asked me if I had gone to Lily Dale. When I told her that I had, she excitedly asked me what I thought and told me that that’s where she goes to church. Sherman is a tiny little place with one main street and gas station. 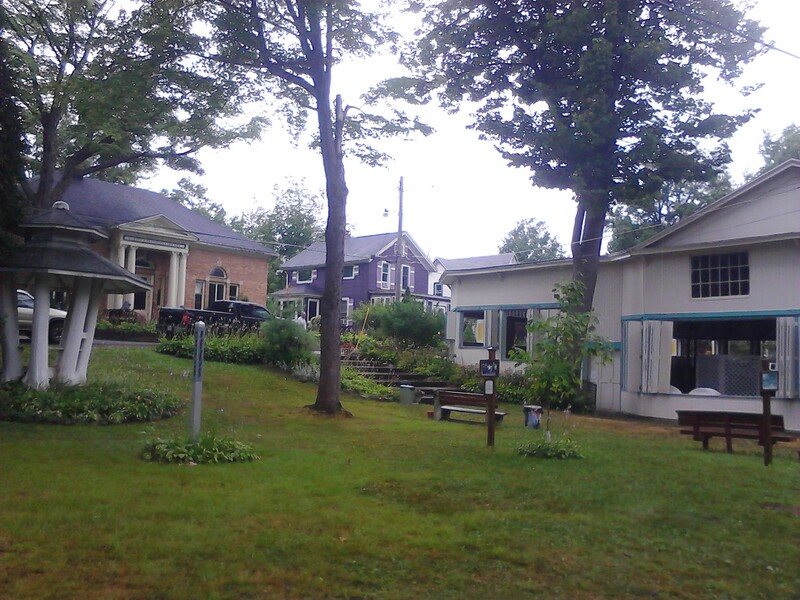 It is the home to many farmers and people of the Amish/Mennonite communities. I was really surprised to find that Spiritualism also has it’s place here. Spiritualism is not something that I have delved into before. And other than in romance novels and books of the paranormal, it’s not something that pops up for me very often. But this was a great look into a very different world, one where ghosts and messages from the beyond are common place and expected.This was a fabulous experience that I would recommend for anyone who is interested in the occult. 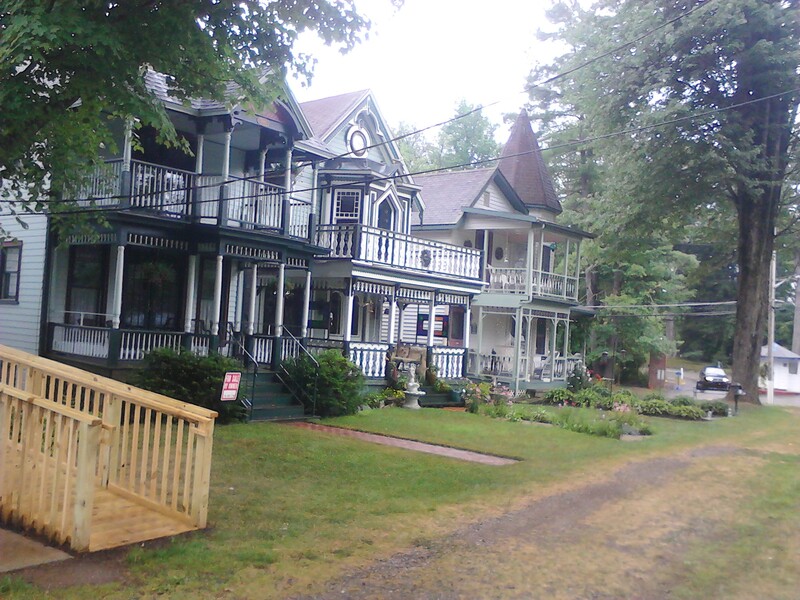 Go and walk with Spirit in Lily Dale, you won’t ever be the same after!